CHICAGO, May 17, 2016 (GLOBE NEWSWIRE) — The U.S. life settlement industry is well positioned for sustained long-term growth, according to speakers at the Life Insurance Settlement Association’s (LISA) 22nd Annual Spring Life Settlement Conference, held over the past two days at the Hilton Palmer House in Chicago. Devine walked conference attendees through developments in the life insurance industry, including product trends and M&A activity in the works. He also reviewed a number of regulatory changes underway that are designed to increase consumer protections throughout the financial services and life insurance industries. In addition to Devine, the conference featured keynote addresses from Paul Green, Director of the Institute for Politics at Roosevelt University in Chicago, who provided a geopolitical forecast, and S. Jay Olshansky, Ph.D., Professor in the School of Public Health at the University of Illinois at Chicago, who shared some of his latest research on estimating life expectancy. 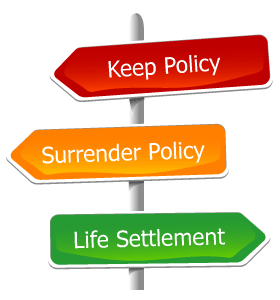 A life settlement is the sale of a person’s life insurance policy to a third-party investor. In a life settlement, the policy’s owner transfers the ownership of that policy in exchange for an immediate cash payment from the buyer. Candidates for life settlements are typically 65 or older, with a life insurance policy that has a “face value” (death benefit) of more than $100,000. “As consumer awareness of life settlements increases, and seniors begin to strike out on their own to explore the possibility of selling a life insurance policy, the next frontier for our industry may be connecting consumers directly with a broker or a provider to purchase that policy,” said Darwin M. Bayston, CFA, President and CEO of LISA. Bayston moderated a panel, “Considerations When Working Directly with the Consumer,” which featured comments based on hands-on experience from Alan Buerger, CEO of Coventry Direct, C.E. “Bud” Dean, managing partner of ReverseLifeInsurance.com, and Peter Colis, CEO of Ovid Corp.
Other conference session topics included the latest underwriting and life expectancy trends, economic forecasts and how they will affect the life settlement industry and consumers, fiduciary standards for advisors and analysis of the Department of Labor’s new fiduciary rule, the newest information on Cost of Insurance (COI) increases and in-depth coverage of investor issues. LISA’s 2016 Spring Life Settlement Conference brought together a wide range of industry participants – including life settlement brokers, providers, service providers and institutional investing professionals – to discuss marketplace developments, regulatory and legislative updates, best practices when working with consumers and new business opportunities.